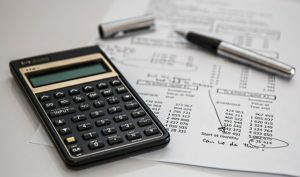 How Much Does a Northern Virginia Tax Attorney Charge? When people are faced with IRS tax debts, they often do not have money to go to the one person they should turn to during this time  a Northern Virginia tax attorney. However, an attorney may be more affordable than you think. Find out in this video what the typical fees are that you can expect to pay from consulting with a Virginia tax and business lawyer. You can set up a confidential consultation with the Sodowsky Law Firm to discuss your specific situation. Our lawyers will evaluate each situation on its own merit to figure out what is most cost-effective for you, given your set of circumstances. We generally work on an hourly basis, but we also do some flat-fee work and value billing work. Once you decide to work with us, you will know what the fee structure is in advance, and all charges will be disclosed to you. To find out more about our fee structure and how we can help you with your tax issue, you can reach our Fairfax tax and business lawyers at 703.476.1176 to schedule your confidential consultation today. You can also visit our website at http://www.sodowskylaw.com to read our frequently asked questions and other informative articles and resources.